After experimenting with nail polish and posting the result on Twitter, people seemed interested in how I created the effect, so I thought I'd quickly write a post. I wear nail varnish all the time, but I wouldn't say I'm very adventurous in this department. 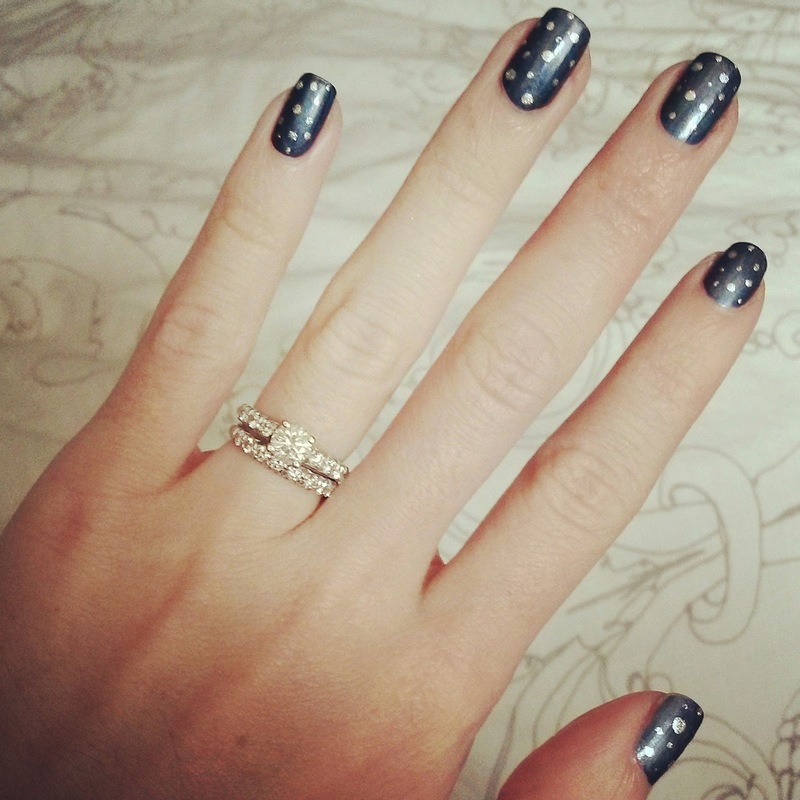 I never have my nails done professionally, nor do I experiment with nail art, jewels, false nails etc. I own lots of different colours, but I still opt for the usual girly pink on most days. After seeing a polka dot picture on Pinterest, I figured even I could give it a go! 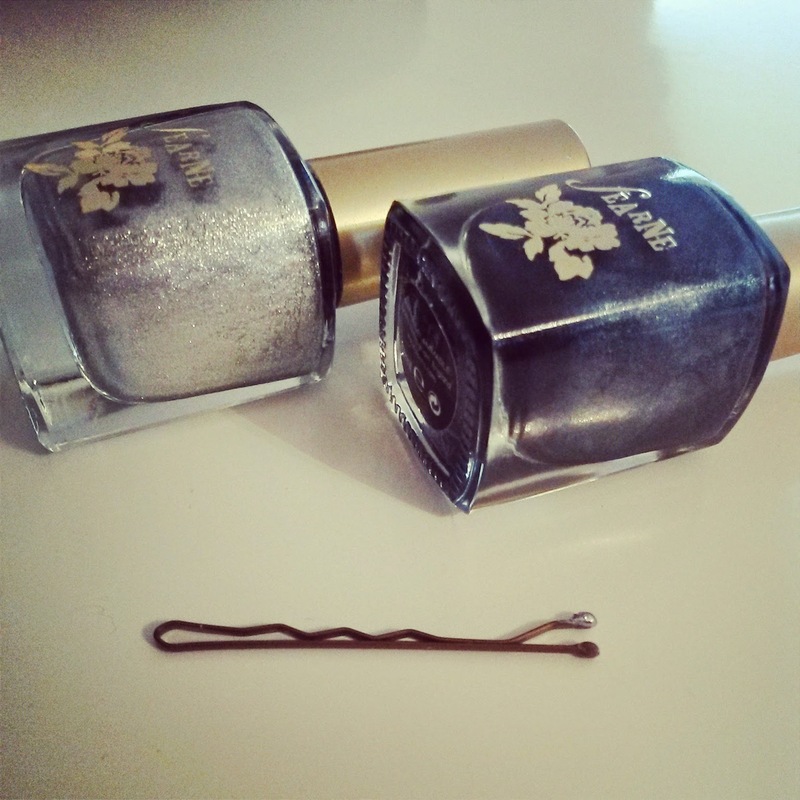 Two nail varnish colours (preferably one light and one dark) and a hair grip / bobby pin. Paint your nails in one colour, and then dip the ball end of the hair grip into the other colour and dot away until your hearts content. Simples! I'll definitely be doing this more often, and can't believe I hadn't tried it sooner!